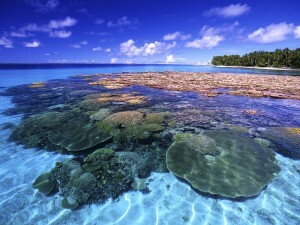 The Marshall Islands, is commonly associated with names such as the British Virgin Islands (BVI), Panama and the Cayman Islands. These offshore jurisdictions are widely known around corporate circles as the most attractive places to set up legitimate tax efficient corporate structures. Corporate tax in the Marshall Islands is only imposed on a company when its profits are sourced from within the Marshall Islands; when the profits earned by the company come from sources outside the Marshall Islands, the profits earned are tax-exempt. This allows companies to avoid paying a large amount of tax, which they would face if they were to run their business operations in other countries. Corporate tax rates can reach up to 30% in most countries, a sizeable portion of a company’s earnings that could be used to invest in more efficient business practices, employ more workers to assist in expansion plans, etc. This is why companies are drawn to tax-planning strategies to cut down on operating costs. Furthermore, Marshall Island companies are mostly non-resident; most companies’ headquarters are based in another jurisdiction where the corporation actually conducts its business operations. This allows companies to enjoy the benefits of Marshall Island company formation, without paying high fees or going through substantial amounts of legal paperwork. The company acts as a legal entity, as well as provides a zero-tax framework. Despite the advantages, Marshall Islands company incorporation has its disadvantages as well. The Marshall Islands is often considered to be a ‘tax haven’, a term that presents a negative connotation. To read more information about the Marshall Islands visit our Marshall Islands Company Registration Guide.